Watch Aimee Mann play a hurricane-related parody of Barry Manilow's "Mandy"
Aimee Mann's comedy chops have been well documented through the likes of Portlandia and Funny Or Die sketches. 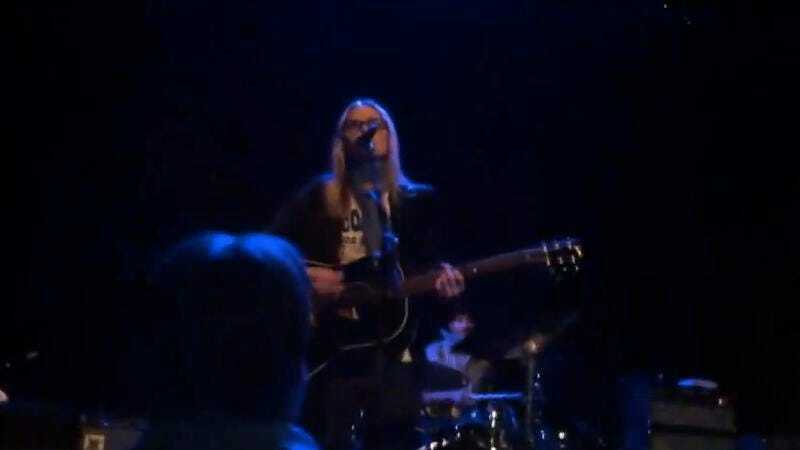 Wednesday night, the singer-songwriter continued her reign of wryness at the Music Hall Of Williamsburg with a short, corny, Hurricane Sandy-themed parody of Barry Manilow's classic single, "Mandy." Mann calls it "one of the dumbest things I've done," but especially on short notice, "Oh Sandy, you came and you took out the power" is pretty clever. The singer is on tour now with Ted Leo.